KI - Light Weight 8 oz. 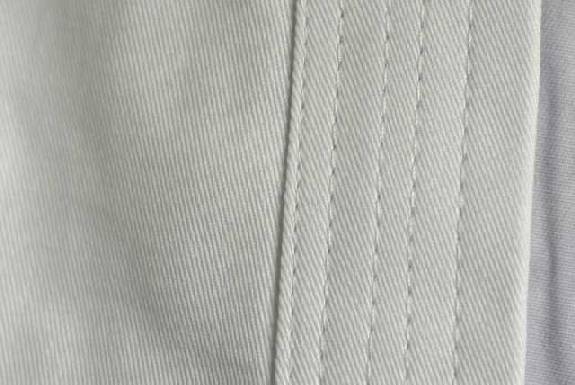 100% Cotton Karate Uniform/gi (white)..
KI Light Weight 100% cotton uniforms were designed for the people who are about to start training in martial arts. You do not want to spend a lot of money in purchasing an expensive karate uniform without knowing that you will continue training. Therefore, this is a “wallet friendly” uniform ideally for beginners and intermediate practitioners. Compared to poly-cotton uniform, KI Light Weight 100% cotton uniform is comfortable and breathable. The pants come with an elasticated waist band up to size 2 and drawstring pants from size 3 and up. 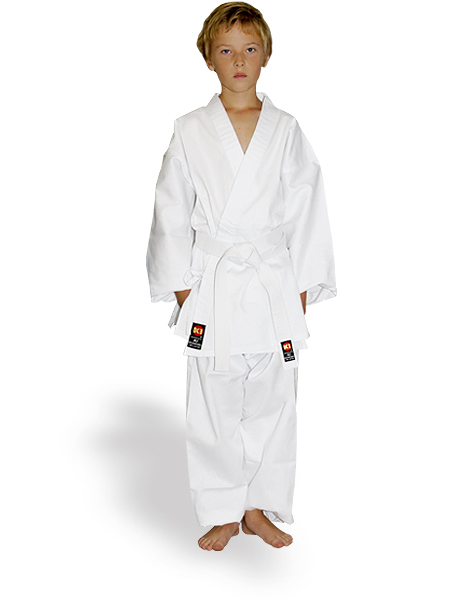 For sizes 0000, 000, 00, 0, 1 and 2, please choose the Light Weight Junior Karate Uniform. 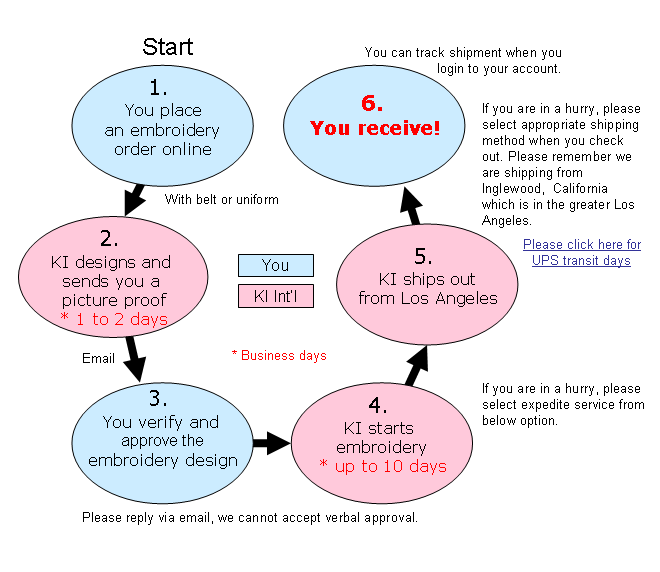 Chest Embroidery No chest embroidery My own text (+$24.95) Aikido (合気道) (+$22.95) Budo (武道) (+$22.95) Budoka (武道家) (+$22.95) Budoku Kai (武徳会) (+$22.95) Bushido (武士道) (+$22.95) Dai Nippon Butokukai (大日本武德会) (+$22.95) Isshin Ryu Karate (一心流空手) (+$22.95) GoJyu Ryu (剛柔流) (+$22.95) Karate (空手) (+$22.95) Karatedo (空手道) (+$22.95) Kenpo （拳法） (+$22.95) Mu Karate Do (無空手道) (+$22.95) KyoKusSin Kan (極真館) (+$22.95) Mugen (無限) (+$22.95) Nihon Karate Kyokai (日本空手協会) (+$22.95) Okinawa GoJyu Ryu (沖縄剛柔流) (+$22.95) RenBu Kai (錬武会) (+$22.95) SeiDo Kai Kan (正道会館) (+$22.95) SeiShin Ryu (清心流) (+$22.95) ShiDo Kan (士道館) (+$22.95) ShiToh Ryu (糸東流) (+$22.95) ShiToh Ryu Karate (糸東流空手) (+$22.95) ShinBu Kai (真武会) (+$22.95) ShoRin Ryu (小林流) (+$22.95) ShoRin Ryu (松林流) (+$22.95) ShoRinJi KemPou (少林寺拳法) (+$22.95) ShoRinJi Ryu (少林寺流) (+$22.95) ShoTou Kan (松涛館) (+$22.95) UeChi Ryu (上地流) (+$22.95) WaDo Ryu (和道流) (+$22.95) YoShu Kai (養秀会) (+$22.95) * All are in Japanese Kanji.